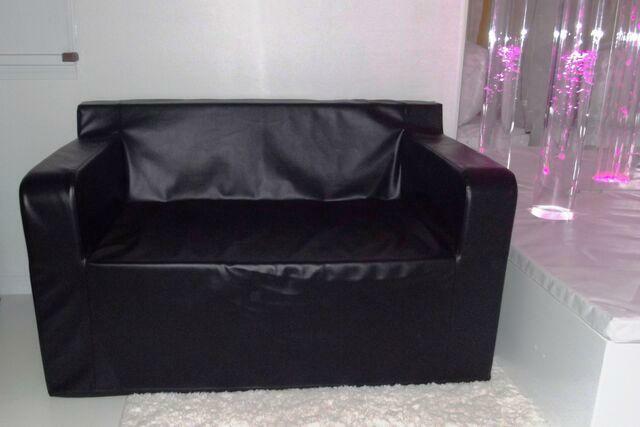 Relax in your sensory room on this comfortable but very sturdy sofa. Made of heavy duty vinyl. Easy to clean for multiple users. Perfect next to a Bubble Tube or under a Fiber Optic Waterfall. Colors Available: Black, Navy, White, Yellow, Purple or Green. Dimensions: L: 55" x D: 22" x H: 32"